This is how I feel with 'Uses for boys' by Erica Lorraine Scheidt. I want to meet her, I want to hang out, I suspect I'd like her a lot. 'Uses for boys' is raw, courageous and hard hitting. Anna has no role model. Her mother leaves her home alone most nights while she goes through a revolving door of men. Anna is desperate for love - from her mother, from anyone, so when boys start paying attention to her she takes it. She lets them do what they want to do. But soon she is getting a reputation for it. My heart was practically breaking for Anna as I was reading it. But it also breaks for her mother and for every woman who has wanted to be loved and cherished, not just desired. Scheidt's lyrical style of writing and the short chapters are a saving grace and help the reader traverse what is really uncomfortable terrain. Bravo. I'm waiting for her next book. I've been working on a new young adult novel - Subject to change - for a couple of years now. The initial idea came from a friend of mine who was telling me about her brother in Perth who was divorced and his son no longer wanted to see him. He'd spent over $150,000 in legal fees going through the court system trying to get access to see his son. She described how his ex-wife was manipulative and that there was a term for her type of behaviour - parental alienation. Having recently separated from my own husband, and seeing the effects on my children in a so-called amicable divorce, I wanted to find out more about parental alienation. I began listening to podcasts and reading articles about parents who were experiencing this type of alienation from their ex-partners and children. It was heartbreaking. I've thrown in the subculture of skateboarding and risky urban tricks, an overprotective mother, paranoid about health and wellbeing, and the question of what would it be like to fall in love with someone who has no fear when you've been brought up to fear everything. Finally, I've started posting chapters to Wattpad - as this is where I've tested my other young adult novels Silver and Repeat After Me with readers. Macy must always wear her helmet when she is skateboarding. She must cross the road at the traffic lights. She must not eat grain-fed meat. According to her mother, the world is full of toxins and accidents waiting to happen. Since the divorce, Macy's mother says her father is hopeless. Her younger brother Tate no longer wants to talk to him. Tucker moves in next door. His parents are divorced too, but his family isn't broken. He skates without fear, his body is like rubber, his urban skate tricks are a wonder. The one thing Macy's mother can't protect her from is falling in love. It's risky, but Macy discovers that Tucker is the greatest trick to land. Last summer I had a rush of inspiration and wrote 20,000 words of a new contemporary fiction story I'd titled Hide your play in a month or so. Then, as often happens, the story stalled. I thought I'd see what would happen if I posted chapters on Radish, after having relative success with a novel Permission to Touch on the app. Radish is a short-form serialised fiction platform where people make 3 cent micropayments to unlock chapters of books posted exclusively on Radish. Readers purchase 'coins' to read stories on the app and authors are paid quarterly. I started posting a chapter a week of Hide your play and waited. People started reading the first free three chapters but no one was paying for the fourth chapter. I waited. Nothing. It was a dud. Over a year later, this week something strange has happened. Someone has paid for all the posted chapters. I have one reader. They've read to chapter 14. Now I have a conundrum. Should I keep writing chapters for my one reader? I don't want to leave them hanging or make them feel like they've been ripped off. I was workshopping how I now feel like I have to finish this book with a writer friend. She suggested: "You know what you should do? You should write about the one reader in the next chapter of the novel. Put yourself in there. Write about how the writer is writing for the one reader." While that sounds like some postmodern fun, I really don't know if I should mess around with my one reader. 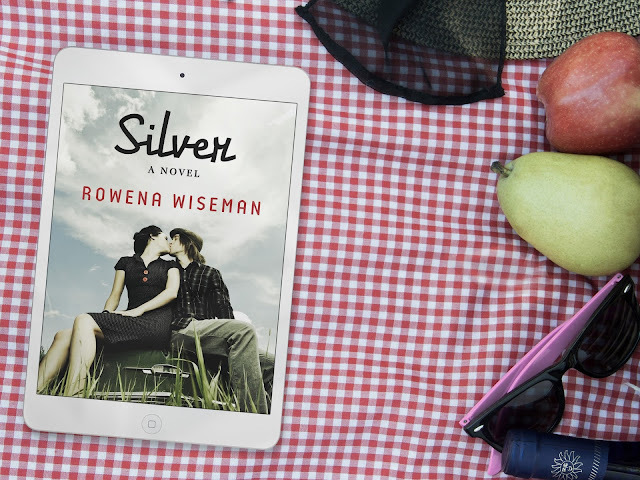 A few years ago, I had a half-written, abandoned young adult novel, Silver, that I began posting on Wattpad. One reader turned into thousands and it's now had over 700,000 chapter reads. I feel grateful to Wattpad and the success that story has had on the site. It inspired me to continue writing for the young adult audience. Recently, I was contacted by an editor at www.dreame.com, a serialised fiction site in Singapore, to see if I'd be interested in moving Silver over to them. They'd pay a modest up front fee, as well as a percentage of paid reads if it was put in their pay-to-read program. I read the terms, but in the end felt as though I should leave the story on Wattpad for the time being. Unless I can get a print deal for it, I feel as though Silver belongs on Wattpad. Those readers encouraged me to finish the story and to write my next YA novel. Sure, it's on the site for free, but I like to think of it as the literary form of street art - put it out there and see who notices it. Gift it to others. A writer always remembers their one good reader. I'll always cherish the first reader of the first story I posted online, the first reader of the novel I self-published with Screwpulp, the first good reader on Wattpad who said I had to finish Silver, the first reader to leave a 5-star review on Goodreads. Sometimes all you need is one good reader to become a gooder writer. Passion has died in Hannah and Sidney's relationship. They decide to co-exist in their marriage, to stay together but date other people. They come up with a set of rules: don't date anyone in their daughters' school community, always be discreet, don't ask questions about the others' rendezvous and don't fall in love. It becomes a game of who can have the most extramarital fun and almost all the rules are broken. I'm Rowena. I'm an author and blogger. My novel The Replacement Wife is available as an ebook from HarperCollins, from $2.99. Luisa tries to find a wife for her husband so she can exit an unhappy marriage happily. The writing that has touched me the most deeply lately hasn't been found within the pages of a book. Although it did all start with a book - Kate Tempest's 'The Bricks that Built the Houses'. I was telling a friend how much I was loving this book and she told me Tempest was also a spoken word artist / rapper and she played me a song of hers - Tunnel Vision ... and when I heard the words 'I’m screaming at my loved ones to wake up and love more' it was like someone had taken an electrical cord, plugged it straight into my heart and turned the switch on. I listened to Kate Tempest's two albums 'Let Them Eat Chaos' and 'Everybody Down' repeatedly, discovering many of the same characters from the book were mentioned in her songs. The book 'The Bricks that Built the Houses' was an extension of her albums. Then I bought 'Brand New Ancients', a Ted Hughes Poetry Prize-winning poem about two London families, reincarnating the spirits of the gods. I read it aloud from cover to cover and then I read it again. I started reading articles and listening to podcasts with Kate Tempest. And then I started wondering if she's touched me so deeply, and she's so unique, are there any others out there doing similar things? I went on a spoken word search. This led me to stumble across Scroobius Pip, a spoken word poet and hip hop recording artist, and I was awestruck all over again. And then, finally, listen to this beautifully confessional track by Sage Francis 'The best of times'. The film clip doesn't do justice to the words, and I want you to listen, so this is the audio only version. Life has been a bit like the first draft of a novel lately - rushed, chaotic, characters with unclear motives, meandering side stories, an unresolved plot, but full of promise. In between, I've been working hard on a new young adult novel which I'm quietly excited about. I've discovered that creativity crystals from Spellbox in the Royal Arcade placed near the laptop keys do not make my ideas flow any better than usual. 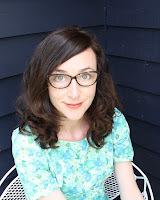 What does help, however, is Heather Demetrios's Mindfulness for writers blog and meditations. 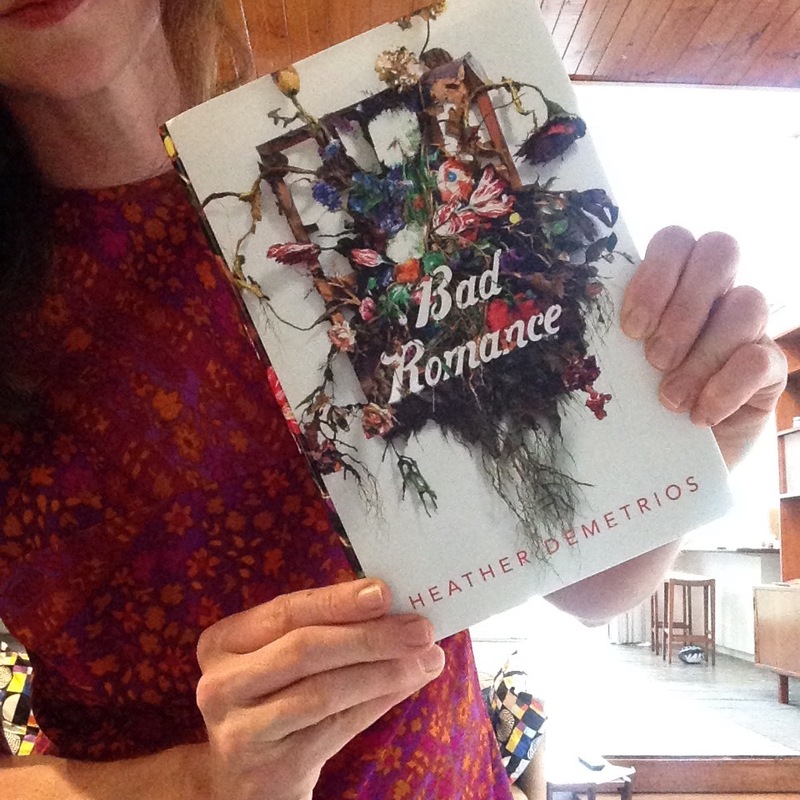 I discovered Heather Demetrios's young adult novel Bad Romance last year. This book is a real gem, much more powerful than the $9.99 crystals from the magic shop. It's a cautionary tale about toxic relationships. The other day, I sat down at my laptop. I'd gotten the kids off to school. I'd had my coffee. I was poised to write. And yet my mind was buzzing to distraction and blocking any worthwhile words from coming. I did one of Heather's 20 minute meditations. The first five minutes I was like come on, hurry up, I'm losing time here ... I want to write a chapter, I've got to clean the chicken coop, I have to pay my car rego, did I wash the footy socks? Should I reword "sinkhole feeling dissipates" to "sinkhole feeling dissolves". Blah, blah, blah ... and then ten minutes into the meditation my mind went quiet and my shoulders relaxed. Heather took a broom and swept out all that noise. I went on to write quietly and calmly, without even getting up to make a cup of tea. That 20 minute meditation easily equalled an hour and a half of solid, concentrated writing. I recently caught up with my lovely friend, illustrator Narelda Joy at the launch of her new picture book 'Message in a sock', written by Kaye Baillie and published by Midnight Sun Publishing. At the launch at the National Wool Museum we learnt about Narelda's rigorous research and her collages and how her sister even knitted miniature socks for the book. The story centres around the efforts of volunteers who knitted socks for the soldiers in World War I.
I went along to the Melbourne Writer's Festival The Book of Fete - Chapter Four at the State Library of Victoria. As we entered we had to take a vow of silence for the night, as an experiment in non-verbal communication. At the end of the evening, Kate Miller-Heidke came on stage and sung John Farnham's 'You're the voice', and after hours of silent immersive experiences we were all invited to join in. It was a perfect ending to a somewhat surreal night heralding a new era of MWF with Marieke Hardy as the new artistic director. And my final precious gem discovery, in this world of rubble, is Kate Tempest, poet, author, musical artist. The last few days I've indulged myself with a writer's retreat at home. I've taken a couple of days off work, the children are with their father, I've said no to social invitations and I've encouraged myself to write as much as possible. It's been a lovely few days of letting my characters speak to me without all the usual noise surrounding me. Having a writer's retreat at home is a great way to knock off thousands of words in a day. 1. Make your writer's retreat at home as dreamlike as possible. Haruki Murakami says that he likes to stay in a dreamlike state when he writes. In between writing, do your best to laze about and daydream. Imagine you have a velvet chaise lounge in a wood-panelled library. Take a break, lie down and think, whatever your surroundings are like. 2. Avoid cooking complex meals, calling customer service centres to pay a bill or answering a message from a needy friend. Avoid anything that will ruin your daydream state. 3. Be anti-social and say no to seeing people. If someone asks you to catch up, the answer is no. You are taking a holiday from real life. Other people may not understand this, but you have a date with one of your true loves ... your book. 4. Read an inspiring novel. Reading motivates writers. Read for pleasure and to study 'how did they do that?' Read while you're eating breakfast, read in between writing, read before sleeping. Just read. 5. Have an afternoon nap. There is nothing as effective to re-set your brain than an afternoon nap. Set your timer for 40 minutes and marvel at the words you write in your next writing session. 6. Eat and drink well. Be aware of the fuel that you are putting into your body. Have a good breakfast and healthy snacks (see my previous posts on healthy writing snacks and best brain foods). Avoid sugar slumps. Be prepared beforehand and have some easy 10-minute meals in the fridge or freezer for dinner so that you don't waste too much time cooking. 7. Create a familiar environment for yourself each time you write. Like a baby is soothed by a structured bedtime routine; a bath, a book, a lullaby, so too can a writer be soothed by a familiar environment and routine. For me, I like to sit on my fluffy blue chair at my teak writer's desk in the study and I play Sigur Ros on the stereo - the same two albums each time. 8. Avoid mental fatigue. Write for as long as you are focused. If you feel your mind drifting, step away from your computer. Don't sit there and browse things on the internet or check your Facebook feed - all this drains your brainpower. Go on a walk or water the garden, do something pleasurable to restore your mental ability. I'm Rowena. I'm an author and blogger. My latest novel is The Replacement Wife, available as an ebook from HarperCollins, from $2.99. Luisa tries to find a wife for her husband so she can exit an unhappy marriage happily. Wattpad is featuring my YA novel Silver this month. With almost 700,000 chapter reads, this novel is totally dedicated to Wattpad readers! ... Silver was my first foray into writing young adult fiction. I wrote half the novel and submitted it in a competition elsewhere. It didn't get noticed, so I felt discouraged and abandoned it. A year or so later, I came across Wattpad and started posting chapters of Silver on the platform. Very quickly I found an audience of readers who started telling me 'you have to finish this' ... so I did! I loved the readers on Wattpad so much that I went on to write another YA novel about a Melbourne street artist. This novel has now been picked up by an agent. And now, I'm writing my third YA novel. I haven't posted any of this story online ... but there's a massive part of me that's curious to know if it would connect with readers as the other two have. That's the great thing about Wattpad - as I was writing and posting chapters online I got INSTANT feedback from readers. I knew if a chapter fell flat. Sometimes I discovered that what I thought was an ordinary scene actually had an impact on readers that I hadn't expected. Right now I feel kind of lonely writing this new book without my team of readers cheering it along or cursing at my unlikable characters. So, if you're a writer, and you're able to, I definitely recommend posting your stories on Wattpad. 1. Wattpad has more than 60 million active users monthly and is truly global. I've had readers from as far afield as Palestine, Nigeria, Mexico and Latvia. 2. The people at Wattpad headquarters are innovative and always looking at expanding into new storytelling territories. They have Wattpad Studios, where they have partnered with the entertainment industry to co-produce Wattpad stories for print, film, television and digital platforms, a partnership with France's Hachette Roman and other publishers to produce popular books in print and digital and they are rolling out a new paid subscription plan, starting in the US and Canada. They also created Tap, text message storytelling. 3. Wattpad goes beyond traditional storytelling. You can add videos or images to your stories. You can experiment with the platform. I once did a 'pop-up story' of a novella I wrote, that I posted on Wattpad for a month only. Writers can think creatively about the way they want to use the functionality within the platform. 5. Writer Jason Howell once said ‘let your ads be your art’ - that is what Wattpad allows writers to do. It’s all about writing, not about stylised Instagram shots or $5 Facebook ads. We are writers, we write ... Wattpad allows us to showcase our work to actual readers. Heather Demetrios' YA novel Bad Romance waves a red flag about toxic relationships. Buy this book for your daughter, your sister, your niece and for yourself. It's important. If you've ever felt smothered in a relationship, like you can't be yourself, if you're torn between loving someone and hating them at the same time, then this book is for you. If you've never loved, then this is for you too, because it serves as a warning for how dangerous love can be, even if it feels safe in the beginning. There is so much about this book that I admired - the clever second person narrative that allows us to know that Grace's romance with Gavin is going to go sour. Yet we can't help falling in love with Gavin too; for his love songs, his gifts, his good looks. We know he's evil, because we're told so on the first page, and yet, like Grace we are charmed by him. As the reader, we fall deeply for him and our hearts are crushed as he becomes more controlling and manipulative. The added ingredients of a dysfunctional family, a mother with OCD and a miserly step father, give much depth to the story.